Physician says brain cooling (hypothermia) treatments are cutting rates of cerebral palsy after HIE from 30% to only 10%. Brain cooling therapy has been making headlines due to its expected potential for preventing brain damage in babies. New statistics reveal that the rate of cerebral palsy at Phoenix Children’s Hospital would be near 30% after hypoxic ischemic encephalopathy (HIE); however, since physicians began cooling babies’ brains after a brain injury, the rate is now only 10%. The physicians at Phoenix Children’s tend to take care of a lot of babies who are at risk for brain damage. The hospital began using brain cooling – also called whole body cooling or hypothermia treatment – in 2008. Initially, the hospital used cool caps to decrease the temperature in the babies’ brains. Now they use a cooling blanket, which decreases the babies’ core body temperature and mid-brain. Neonatalogist Cristina Carballo says that when a baby’s brain is deprived of oxygen, a moderate brain injury can have up to a 30% chance of causing cerebral palsy. In severe cases of oxygen deprivation that injure the brain, the chance is up to 90%. Oxygen deprivation causes a chain reaction of damage. Neurons in the brain start emitting a chemical cascade that continues to damage the brain for hours, days and weeks, Carballo says. Cooling the brain with hypothermia treatment stops the cascade of damage and helps prevent further injury. Carballo says the technology also allows physicians to aggressively monitor the babies’ brain activity and oxygen uptake because cooling alone is not good enough. They do brain tests, such as EEGs and MRIs the minute the babies start the hypothermia treatment. In fact, the babies undergoing treatment receive continuous EEG monitoring. Physicians also perform these tests when the babies are re-warmed to see what kind of brain damage – if any – they have. For best results, hypothermia treatment should be started within 6 hours of a suspected brain injury. Treatment lasts for 72 hours. United Cerebral Palsy of Central Arizona director Armando Contrera says that the results at Phoenix Children’s Hospital are a true success story, and that Carballo has done a phenomenal job. Lack of oxygen in a baby’s brain can cause a condition called hypoxic ischemic encephalopathy (HIE), which affects 3 out of every 1,000 full-term babies. HIE can cause cerebral palsy, intellectual and developmental disabilities and seizure disorders. Until fairly recently, no treatment for HIE existed. Uterine Rupture and HIE: This is when the uterus (womb) tears open, which can cause the baby to leave the womb and enter the mother’s abdomen. When the uterus tears, the mother may lose so much blood that it deprives the baby of oxygen-rich blood. Or the rupture can cause the placenta and cord to be cut off from circulation, which also deprives the baby of oxygen. Women who have a vaginal birth after C-section (VBAC) are at an increased risk of uterine rupture. Nuchal cord and HIE: This occurs when the umbilical cord is in a knot around the baby’s neck. This can cause the cord to be occluded, which will significantly decrease the flow of oxygen-rich blood to the baby. In addition, the knot can be so tight around the neck it impinges on the baby’s neck vessels, which leads to decreased oxygen going to the baby’s brain. Umbilical cord prolapse and HIE: This occurs when the cord travels down through the birth canal in front of the baby. When this happens, the baby’s body and mother’s pelvis push on the cord. This pressure on the cord can cause blood flow to the baby to slow down or completely stop. Cord prolapse is an obstetrical emergency, and when it happens, the baby must be delivered immediately, most often by C-section. Preeclampsia and HIE: This is when the mother has high blood pressure (hypertension). When hypertension occurs, there can be decreased flow of blood to the baby. There are a number of ways hypertension can cause this. Firstly, the high blood pressure causes damage to and / or constriction of the vessels in the placenta. When this happens, there is decreased flow of oxygen-rich blood to the baby through the placenta and umbilical cord. Post-term pregnancy and HIE: When a baby is in the womb for longer than 37 weeks, postmaturity syndrome may occur, which results from the uterus and placenta becoming insufficient due to the deterioration of the placenta. The placenta starts to gradually deteriorate after week 37, and then it may not be able to supply adequate oxygen-rich blood to the baby. In addition, when a baby is delivered late, she may be macrosomic (large), and this can cause delivery to be traumatic if not properly managed. Chorioamnionitis, villitis and HIE: Chorioamnionitis is infection and inflammation of the placenta and fetal membranes. Villitis is infection and inflammation of the part of the placenta that is involved in oxygen exchange, and it is associated with chronic chorioamnionitis. These conditions can cause premature rupture of the membranes (PROM), which can cause serious problems for the baby, including premature birth and being born before the lungs are fully developed, which can cause oxygen deprivation in the baby. Meconium aspiration and HIE: This is when the baby breathes meconium into her lungs around the time of birth. Meconium is a mixture of amniotic fluid and the baby’s first stool. When a baby gets meconium into her lungs, she can suffer severe respiratory distress and have breathing problems after birth, which can cause oxygen deprivation. Macrosomia, cephalopelvic disproportion (CPD), and HIE: When a baby is macrosomic, she is more susceptible to a traumatic birth, which can include the use of forceps and vacuum extractors. Trauma can cause hemorrhages (brain bleeds), which can cause a lack of oxygen in the brain. In addition, the prolonged labor that can occur with macrosomia and CPD also increases the chance of oxygen deprivation. Mothers who have gestational diabetes are at an increased risk of giving birth to a macrosomic baby. Placental Abruption and HIE:This occurs when the placenta separates from the uterus, which can cause bleeding in the mother and a decreased supply of oxygen-rich blood to the baby. It also can cause the placenta (and umbilical cord) to be cut off from the mother’s blood supply, either partially or completely. This can cause further oxygen deprivation in the baby. HIE and malposition of the baby, such as face presentation and breech birth. When a baby is not in the normal position (top of the head exiting the birth canal first), labor can be prolonged, trauma to the head can occur, and the umbilical cord can become prolapsed. These complications can cause oxygen deprivation in the baby’s brain. In addition, babies in face presentation can suffer from a lot of swelling and fluid build up in their upper airways, which can cause respiratory distress and oxygen deprivation. Delayed emergency C-section and HIE: Research shows that when the decision to perform a C-section is made, the baby should be delivered in 18 minutes or less, in most cases. Experts also agree that in other instances, such as a cord prolapse, the baby should be delivered much sooner. Often, physicians spend too much time trying to deliver a baby vaginally, and they do not move on to a C-section quickly enough, or they lack the skill or necessary equipment to promptly perform a C-section. When an indicated C-section is not timely performed, the baby is frequently left in oxygen-depriving conditions for far too long. Intracranial and intraventricular hemorrhage and HIE: Hemorrhages (brain bleeds) can occur when there is trauma to the baby’s head. This can happen during labor and delivery, especially if delivery instruments such as forceps and vacuum extractors are used, or the baby’s birth position (face presentation, breech birth) is mismanaged. Brain bleeds can cause decreased blood flow and oxygen in the brain. Hyperstimulation and HIE: Excessively strong and frequent uterine contractions, called hyperstimulation, can result from improper use of Pitocin or Cytotec. Hyperstimulation can cause the uterus to contract too frequently and strongly. Strong and frequent contractions put continuous pressure on the vessels in the uterus and placenta, which impedes blood flow from the placenta to the umbilical cord and baby. This can lead to severe oxygen deprivation. Traumatic delivery and HIE: Traumatic delivery can occur when forceps or vacuum extractors are used, and when shoulder dystocia occurs (shoulder is trapped behind mother’s pelvis). Trauma can cause brain bleeds, which cause oxygen deprivation. In addition, shoulder dystocia can cause trauma to the head and prolonged labor, which also can cause the baby to have brain bleeds and be oxygen deprived. 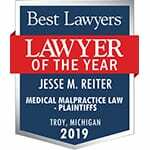 If your baby suffered any birth complications, including the ones listed above, and has been diagnosed with HIE, please contact the nationally recognized birth injury attorneys at Reiter & Walsh ABC Law Centers. Babies with a suspected brain injury should receive hypothermia treatment. For decades, our award winning attorneys have been helping families whose children have HIE. 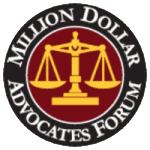 We have numerous multi-million dollar verdicts that attest to our success, and we will fight to obtain the compensation you and your family deserve. We will evaluate your case to determine if your newborn suffered injuries due the negligence of the physician or medical staff, and you never pay any money until we win your case. Email or call us: 888-419-2229. Thank you for your comment, Meenakshi. 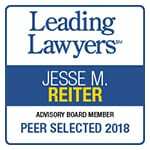 You will be contacted by a member from the Reiter & Walsh, PC team. Please reach out with any additional questions or concerns.